Basilio Izquierdo is one of our favorite winemakers. His knowledge, ceaseless curiosity and amazing problem solving abilities in winemaking are a wonder to behold. 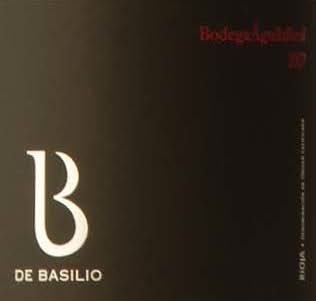 It also helps that he was the head winemaker at CVNE and Contino for more than 30 years and responsible for dozens of true classics that send Rioja aficionados to tears, such as the great “Imperial” and “Viña Real” Gran Reservas of the ’70s, ’80s, and ’90s, and the mythic Contino ’82 Reserva. Not to mention his understanding of many of the lost traditions of Rioja. Displaying a brilliant, purple-hued ruby color, this suave, fruit encased red is super fragrant. Effusive scents of strawberry and black cherry immediately greet you on the nose, followed by hints of clay and loam. Supple, silky and juicy on the attack, additional notes of strawberry, black cherry and mixed berries unfold. Fine oak tones emerge, adding roundness to the supple mouthfeel. Seamlessly integrated acidity and very fine ripe tannins provide structure. The long finish is capped by soft hints of spice and chewy strawberry tones. Suave and simply a pleasure to drink. Less than 364 cases produced. 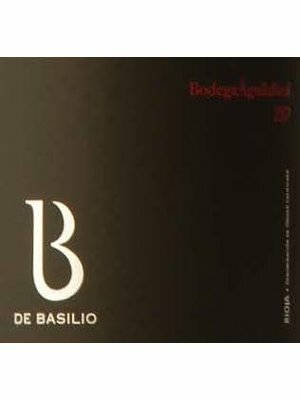 Blend: 62% Tempranillo, 32% Garnacha, 6% Graciano. Oak Treatment: Malolactic fermentation in new French oak for 6 months; 10 additional months in barrel.